Not exactly love at first sight! G-Eazy and Halsey are relationship goals, but don't be fooled, because it may have taken a little bit of convincing for the musicians to get together. 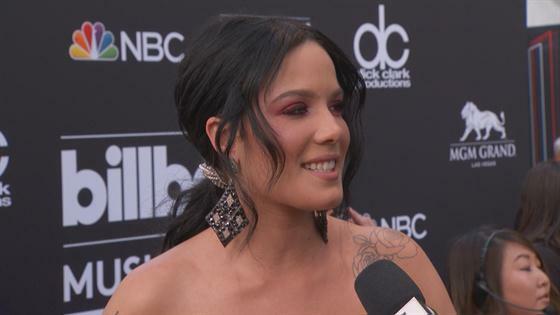 Halsey stopped by to talk with Jason Kennedy on the E! red carpet at the 2018 Billboard Music Awards and revealed how G-Eazy won her heart. "He was just really persistent," an embarrassed Halsey dished. He really wanted to hang out and really wanted me to like him a lot. It took me a while to be like, ‘Fine. Okay I like you back.'" But once she did, the rest was history...kind of. "I'm glad I did," she shared. "I got bamboozled a little bit. I got tricked into it." Well, it worked out in her best interest and the couple has now been going strong for a little over a year. She may have been bamboozled, but it worked out in her favor!